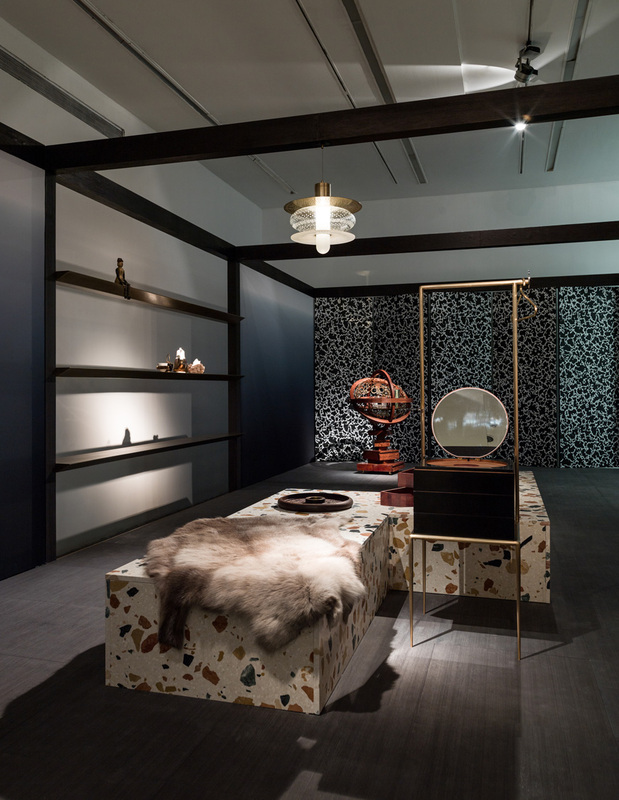 Broached Commissions, a Melbourne-based design studio, haspioneered a new approach to the applied arts and to design objects based on extensive curatorial research into overarching historical themes such as colonialism and globalization. One of their central concerns is a key question in international applied arts practice: Whathappens to design when it migrates? 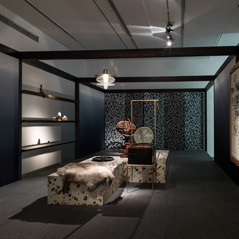 The group’s first exhibition in China takes as a starting point Australia’s unique position as a mediator between European cultural traditions and its East and Southeast Asian neighbors. 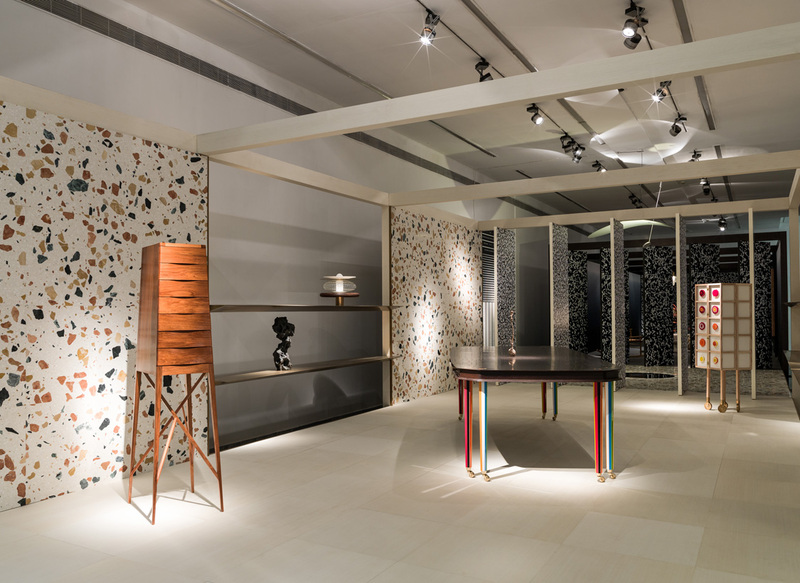 Far from merely a show of Australian design in China, “Broached Retreat” invites international designers to collaborate on discussions on the history of design. 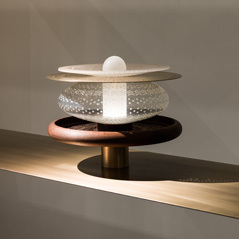 “Broached Retreat” features twelve pieces by eight designers. 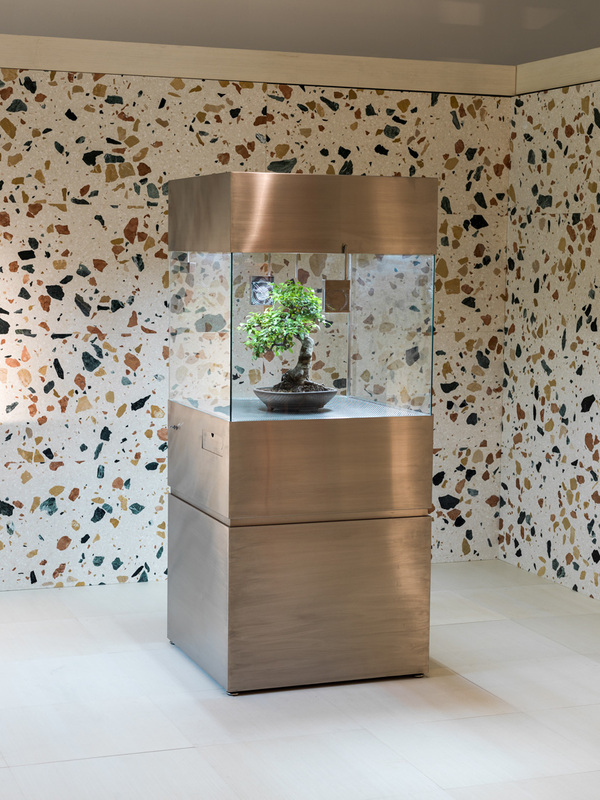 The exhibition includes works from the group’s first two highly successful collections, “Broached Colonial” and “Broached East,” alongside new works made for the UCCA presentation. “Broached Colonial” explores the colonial period from the Australian perspective, probing how the country’s unique cultural geography and population—remote yet European, bringing together entrepreneurs, frontiersmen, and convicts—impacted the development of its nascent material culture. 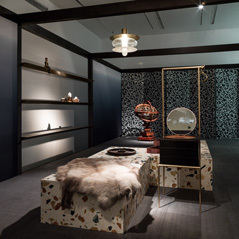 Broached East” focuses on Australia’s relationship to Asia during the Australian gold rush. This period saw the beginning of mainstream consumer products and lifestyle magazines, an era of consumption that continues today. With an influx of gold rush money, Australia quickly pivoted from being a penal colony to a merchant economy. It is during this period that the arts & crafts movement throws down the challenge to champion the well and locally made over the ubiquitous, cheap, mass-produced version—another dichotomy that persists to this day and is at the heart of the industrial dilemmas that Broached focuses on. 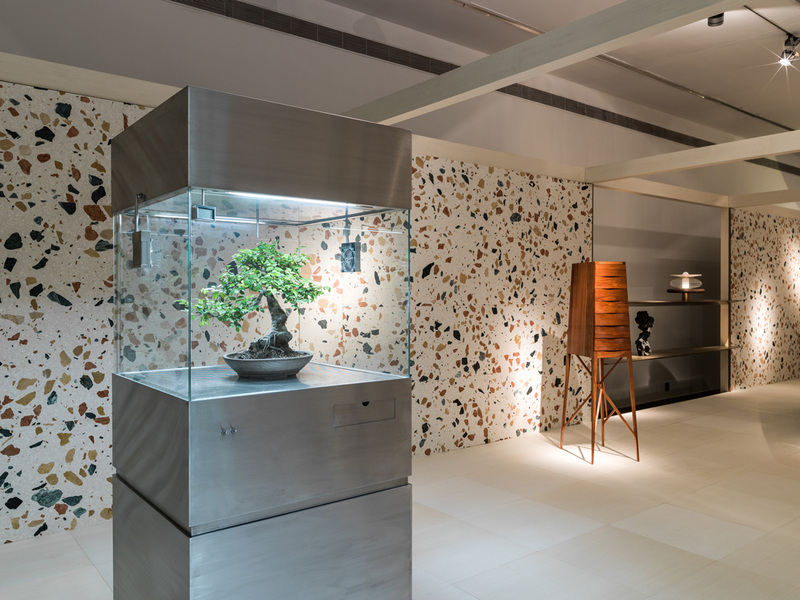 “Broached Retreat” situates these collections within a new context: a pavilion constructed out of fabric and stone. The pavilion consists of a masculine study and a feminine boudoir. The rooms are conceived as meditative refuge, featuring works that address the question of how we experience private, interior spaces today. A few new works are being created to fit with the show’s pavilion context. A day bed and stools are being made from the Dzek Max Lamb Marmoreal terrazzo stone. 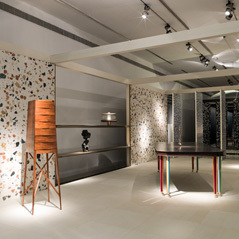 A giant loom containing a weaving by Susan Dimasi of MaterialByProduct and a dressing table by Chen Lu are being designed especially for the UCCA exhibition. Broached Commissions is interested in design as a creative canon unto itself. 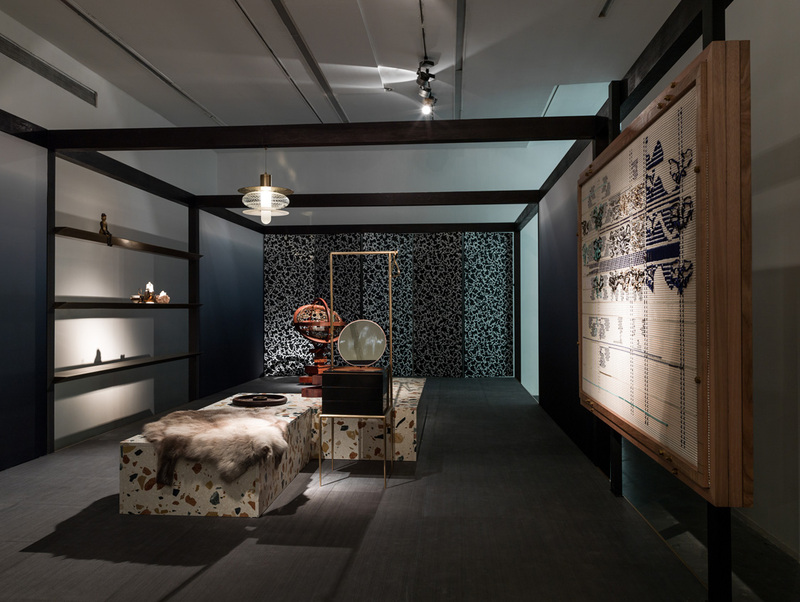 The group explores narratives of design: how different times and cultures came to produce the forms that they did, and how these ideas grew, shifted, and evolved when adopted by designers and artisans in different parts of the world. The group investigates not just objects, but the locally specific intentions and desires that inspired them. For each commission, core Broached designers are joined by a curator to initiate research into the human and industrial stories of a particular era in Asian-Pacific history. Working with curators and scholars, the group constructs a narrative framework to guide the design. Broached then reaches out to international designers whose interests and practice fit the project, producing concept sketches and prototypes before engaging artisans and specialists to realize the object. 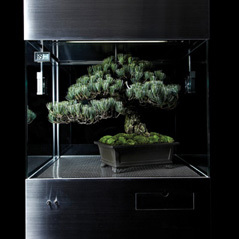 “Broached Retreat” is conceived by Broached Commissions Creative Director Lou Weis. 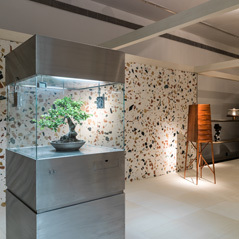 The pavilion is designed by Chen Lu. 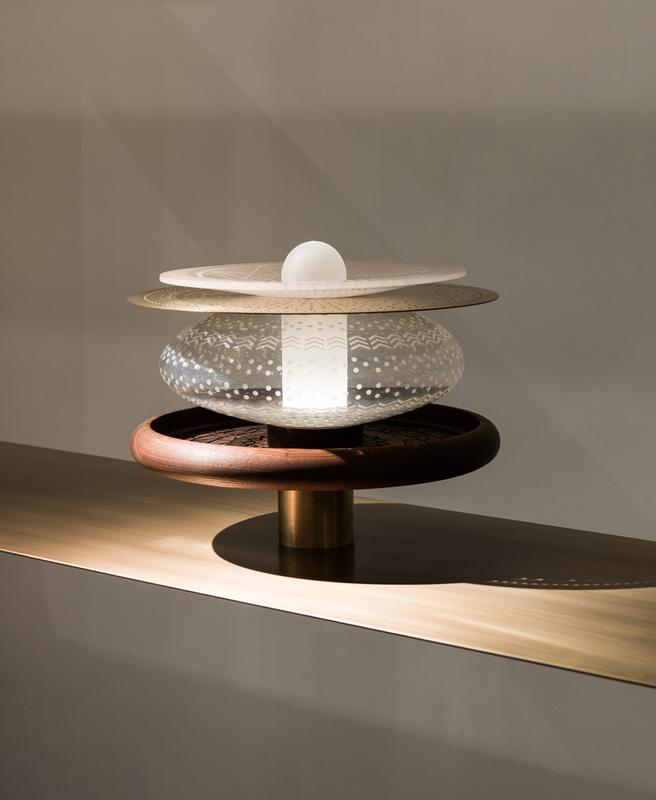 Participating designers include Broached founding members Adam Goodrum, Trent Jansen, and Charles Wilson alongside works by Keiji Ashizawa (Tokyo), Susan Dimasi (Melbourne), Max Lamb (London), Naihan Li (Beijing), Chen Lu (Sydney), and Azuma Makoto (Tokyo). 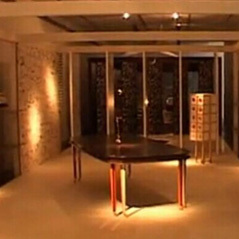 The exhibition is sponsored by Asialink. Technical support is provided by The Royals. Broached Commissions initiates bespoke made and limited edition design collections, each based on a different historical context. Broached gives form to historical fictions. 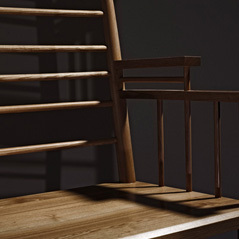 By fusing the depth of history with contemporary design, the company creates new work that embodies a story of Australian life as one that is deeply connected to global trends. Applying a collaborative research and design process, the company enables an international dialogue about design from the Australian experience and perspective. Design ideas are adapted to local contexts when they move from country to country, from one design studio to another. Broached Commissions shows the Australian experience of this process of design migration. Broached was founded by its Creative Director Lou Weis and Vincent Aiello. 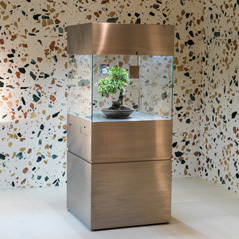 For more information, please read the “Broached Retreat” exhibition booklet. In the exhibition, the artistic director reviews some of the group’s most important works, mainly from the two collections – Broached Colonial, which explores the colonial period, and Broached East, which focuses on what’s by some measures the largest migration in human history, from 1850 to around 1930.